Bush cricket (family Tettigoniidae) on a leaf in the rainforest understory at night. 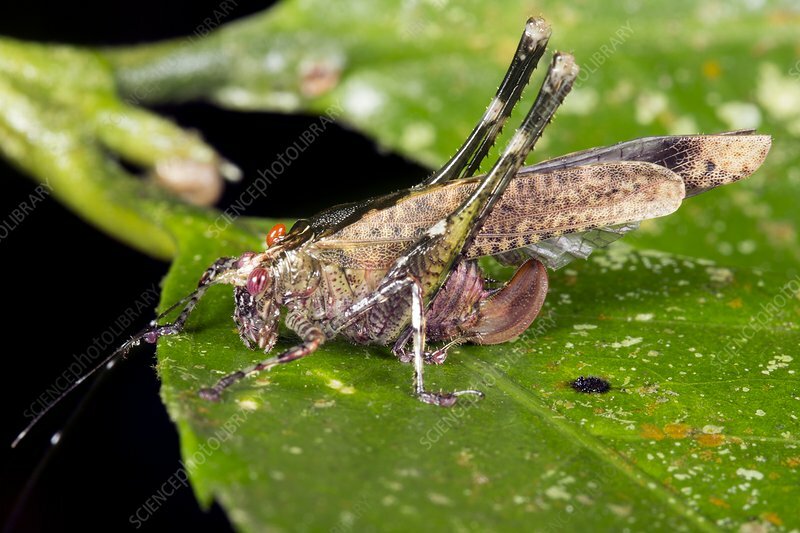 This is a female with a curved ovipositor. Photographed in the Ecuadorian Amazon.